June 27, 2017 – Holiday Club Resorts Oy’s domestic business developed favourably in the financial period 2016–2017. The hotel business is experiencing strong growth, and records were broken in the consumer sales of both Villas and weekly timeshares. The company is renewing its destinations and wants, thereby, to offer its customers even more comprehensive experiences. Known for its spa hotels and weekly timeshares, Holiday Club’s turnover was MEUR 155 in the financial period 2016–2017, which ended at the end of March. The domestic business developed favourably and was profitable; records were broken in the consumer sales of both Villas and weekly timeshares. The extensive renovation of the Åre spa hotel and the challenging operating environment of the Canary Islands impacted the Group result negatively. “The Villas and weekly timeshares businesses reached the best result of their history last year. The spa and hotel business is also experiencing strong growth and the indicators – such as utilisation rates and average prices – that we use for monitoring are climbing. Growth has been the strongest in Northern Finland where the share of foreign travellers has increased gratifyingly. Our eastern neighbours are also returning for holidaymaking and shopping as the rouble rate recovers,” says Holiday Club Resorts Oy’s CEO Iiro Rossi. The most significant investments of the financial period were the MEUR 16.5 renovation of Spa Hotel Caribia with its new construction projects and the major concept change of Spa Hotel Åre to an active holiday resort with excellent services. New construction projects are ongoing, for example, in Kuusamo, Himos, Saariselkä, Salla and Åre. The hotel utilisation rates remained at a good level throughout the financial period. The growth has been the strongest in Northern Finland, where the number of foreign travellers has increased considerably, and in Saimaa in Rauha of Lappeenranta, where Russian tourists have returned for holidaymaking and shopping. Holiday Club Villas were constructed in Turku, Himos, Kuusamo, Saariselkä, Salla and Åre during the financial period. The sales of the business segment increased to almost MEUR 30, which means a growth of nearly 70% compared to the previous financial period. Holiday Club reached a consumer sales record also in its weekly timeshare business. The turnover over of the business segment grew by 4% to almost MEUR 45. The renovation of Spa Hotel Caribia in Turku was started in early 2016 and finished in spring 2017. In the same connection, 58 suite-level Villas flats were constructed to the resort. Holiday Club invested in total MEUR 16.5 in the renovation of the destination. The surroundings of Caribia are experiencing the strongest growth from among the areas surrounding the city centre of Turku at the moment, and the accommodation need within 2 km from the spa increases quickly. Himos is a strongly growing, vibrant destination that Holiday Club Resorts Oy invests in heavily. Out of the 50 Villas that will be constructed in the vicinity of the area’s diverse services, 32 have been finished at this point. Holiday Club is also looking into the possibility of constructing a spa hotel in the area. The utilisation rate and average room price of Tampereen Kylpylä have increased even though the area’s accommodation capacity has increased significantly. The upturn in the economy shows in the rocketing conference sales and in the number of families visiting the same destination. The general growth of the Finnish economy shows also in Katinkulta in Vuokatti. The number of international customers visiting the destination is on the rise and also the B2B demand has increased. The excellent snow conditions played a role in ensuring an excellent winter season at the resort. The Eastern Finland tourism developed favourably, and the number of Russians visiting Holiday Club Saimaa grew approximately 20% compared to the previous year. Nonetheless, the number of Russian travellers was only half of that in 2014. All in all, the number of international visitors is increasing, and even groups from Asia and India have visited the resort. Holiday Club Saimaa has also become an extremely popular destination for organising meetings, events and company celebrations. In Northern Finland, the share of foreign travellers increased rapidly; Holiday Club’s resorts in Saariselkä, Salla and Kuusamo also experienced an increase. The increase in direct flights and the fact that Finnair has increased its flight capacity towards the north have been welcomed changes at the resorts. New Villas flats were constructed at all of the resorts in financial period 2016–2017. The renovations of Kuusamon Tropiikki and Saariselkä are expected to increase the appeal of the destinations even more. The public areas of the destinations will be completed by the end of June. At Holiday Club Åre, a major concept change was realised, which was completed at Christmas 2016. 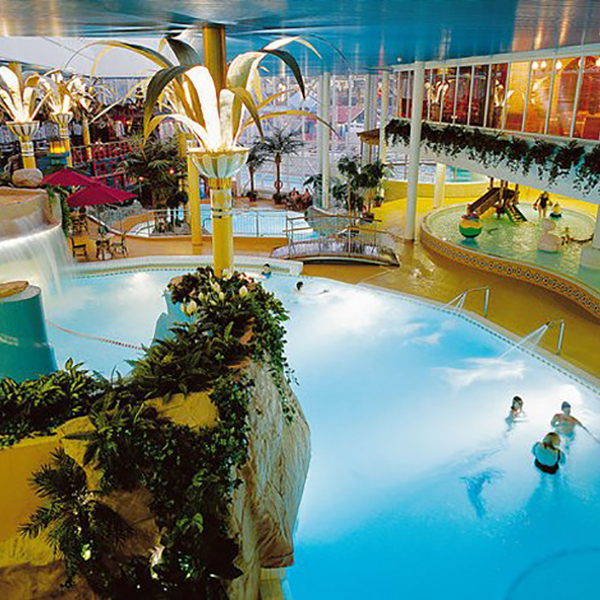 As a result, the spa hotel turned into an active holiday resort with excellent services. The Sats gym of 800 m2, which was opened at the resorts, offers magnificent sceneries of the surrounding fells through glass walls. The panoramic views from the yoga room are directed over Lake Åre. Holiday Club is also mapping new potential areas and partners in Sweden with the aim of increasing business operations also on the other side of the gulf. Holiday Club Resorts Oy is the leading weekly timeshare company in Europe and a significant operator in the fields of holiday housing and tourism. Holiday Club has 32 holiday resorts. It has a total 2,226 holiday homes. Eight of the resorts feature not only holiday homes but also a spa hotel. There is a total of 1,145 hotel rooms. Nine resorts are located outside Finland, in Sweden, on the Costa del Sol in Spain and in the Canary Islands. Holiday Club has 60,000 families as timeshare customers. The main owner of the group is the Indian company Mahindra Holidays & Resorts India Limited. Owners also include Holiday Club’s acting management and the Fennia Group.